A random freezing PC really drives people’s nuts. The truth is that quite a lot of users are now annoyed by the Windows 10 random freezes issue after upgrading to Windows 10 Creators Update. When your Windows 10 laptop or desktop PC freezes randomly, the typical symptom is mouse lagging for a few seconds once for a while which slower the PC performance. To be more precise, the Windows 10 random frozen problem after Creators Update occurs anytime. Windows 10 PC freezes after login, freezes on boot, freezes after sleep, freezes when playing games, NVIDIA driver freezes Windows 10 system etc. Luckily, we find some effective troubleshooters to fix the endless random freezes or hangs for Windows 10 Creators Update. Below are detailed introductions. 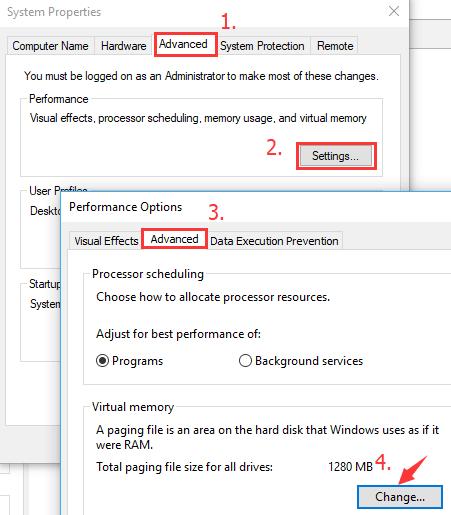 Virtual Memory, as a powerful auxiliary, helps extend the physical memory (RAM) for your computer. When your physical memory is running laden high CPU usage, the virtual memory will be then delegated to spare RAM with the TEMP Storage on your hard drive to maintain the PC’ performance. 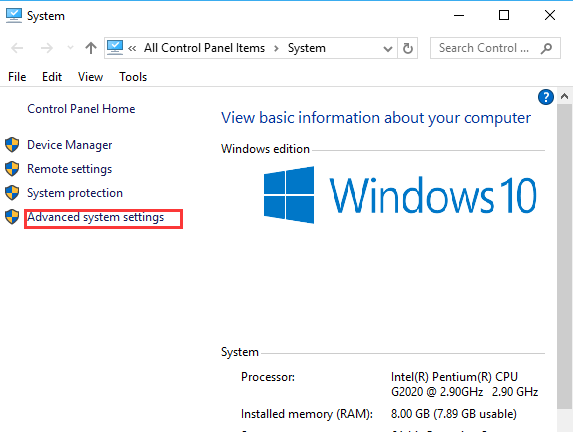 It is said by many users who’ve encountered the unbearable random freezes/hangs after Windows 10 CU that increasing the virtual memory could resolve the PC freezes issues. Step 1. Press the Windows key + Pause/Break to open the system control panel. Step 2. Choose Advanced System Settings on the left panel. Step 3. Go to the Advanced tab -> Settings -> Advanced tab -> Change…(In the Virtual memory section). Step 4. 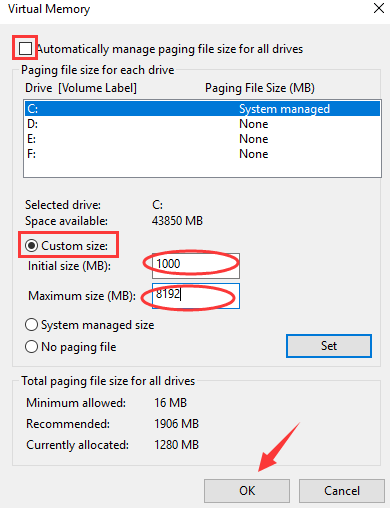 Leave the Automatically manage paging file size for all drives checkbox unchecked. Step 5. Choose Custom Size and set the Initial Size to 1000 and the Maximum Size to 8192. Step 6. Click OK to save the changes and then reboot the PC to check whether the screen freezes error persists. The outdated, broken display drivers or network adapters could also lead to computer issues like PC freezes/hangs occasionally for 30 seconds or more, AMD issues, random BSoD (Blue screen of death) error, Windows 10 Store error etc. To update the proper graphics drivers or network drivers and get rid of the laptop or desktop PC random freezes hitch for Windows 10 Creators Update, you can use a trustworthy driver issue troubleshooter like Driver Talent. 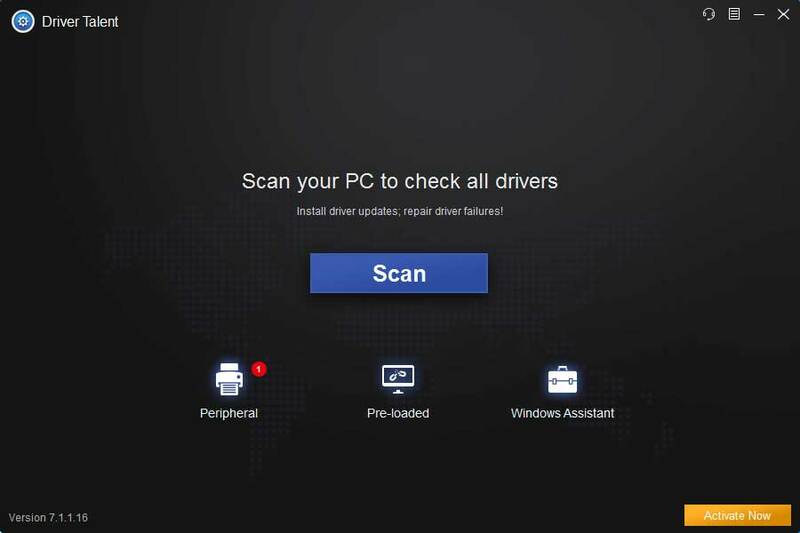 Trusted by over 3,000,000 people, over 200 countries and areas, Driver Talent is a professional driver troubleshooter which finds and installs the official and WHQL Windows device drivers and fix driver related computer issues accordingly. Driver Talent is available via the Download button below. And then follow the 3 easy how-to steps to update drivers for Windows 10 Creators Update with Driver Talent. Step 1. Click Scan to detect if the display/network drivers are outdated, missing or broken. Step 2. 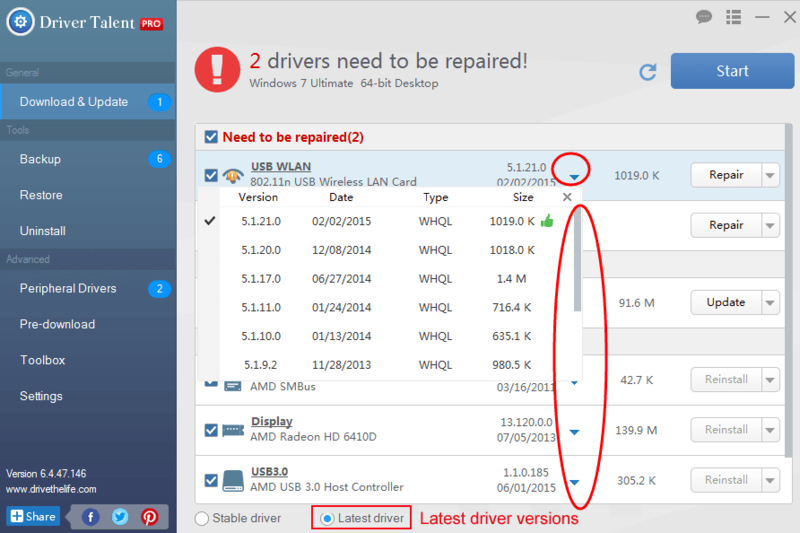 Click Update/Repair to download and install the best-matched driver updates. Step 3. Reboot the computer and then you should be able to enjoy the Windows 10 PC smoothly with no more freezes. Then your computer should be free from random freeze dilemma if it is caused by the faulty drivers. If the freeze problem occurs all the same on the Creators Update, go on the reading for other solutions. 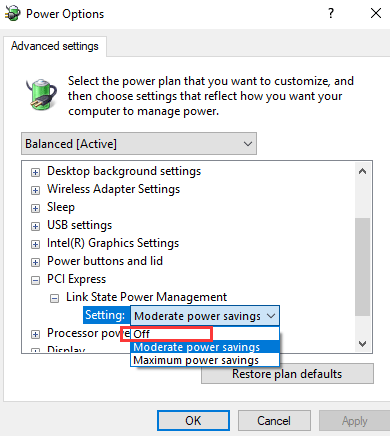 Turning off the Link State Power Management, a power saving mechanism is said effectively to repair the Windows 10 computer freezing glitch bug after the Creators Update. Below is how. Step 1. Hold the Windows shortcut keys Win + R to open the Run box. Step 2. Type powercfg.cpl and then hit OK. 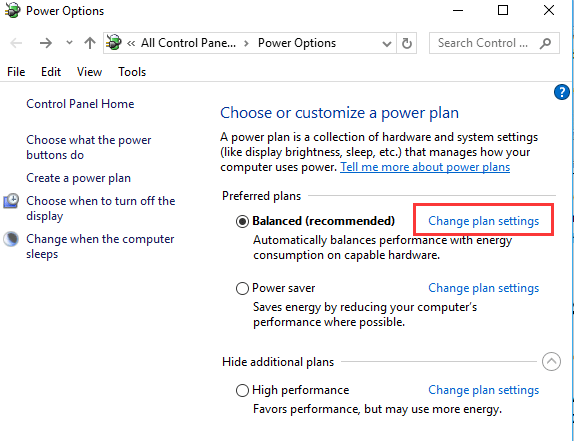 Step 3.Find your power plan and then click Change plan settings. Step 4. Choose Change advanced power settings. Step 5. Locate the PCI Express category and then expand it, change the setting of Link State Power Management to Off. Step. Click OK and then Apply. This PC freezing randomly error is much similar to what was rampant after the 1607 anniversary update, especially for users who have multiple drives such as an SSD for their system files and an HDD for programs, libraries, or general storage etc. Thus to solve the Windows 10 laptop freezing or stuck issue on Creators Update, you’d better update your SSD firmware. Above are all troubleshooters we find to fix Windows 10 Freezes Randomly after Creators Update. If you know more workarounds to quit the random screen freezing problem, do share with us in the comment section below, or go to the OStoto official forum via the left menu on the page.